Aside from the local Halfords in Bedminster or the one on Winterstoke Road, where else can you go for car parts in Bristol? There are a wealth of smaller retailers and a number of car dealers that can sell you the part you need, whether it's for your personal car or your company's fleet, so which ones should you check out? Why use an independent retailer? The advantage of using a smaller retailer to buy car parts in Bristol is that you can expect the staff to have a good knowledge of the components they are selling and how they can improve your car. In some larger retailers, this level of experience and expertise can be missing. If you can't find the part you need or if you want to shop around for the best price, Kingswood Autopart could be the type of place you're looking for. Everything from polishes and waxes to aerodynamic roof boxes and replacement components to keep your car on the road, are stocked, so the stock is as varied as you would find in a large nationwide chain. A company like Autoparts and Diagnostics Ltd on Whitehouse Street also offer an alternative to the nationwide chains. Bristol is one of five locations at which motorists can pick up parts that the company has sourced globally. Drivers only need to order the part online and then pick up from the Bristol depot. Franchised dealers representing the motor industry's biggest brands can be found in Bristol. Parts for everything from a Smart car to a Mercedes van are available from dealers, who only stock genuine manufacturer parts. If your car is within its warranty you should buy genuine manufacturer parts in order to maintain that cover. But if not, there is a wide choice of independent car parts shops in Bristol. 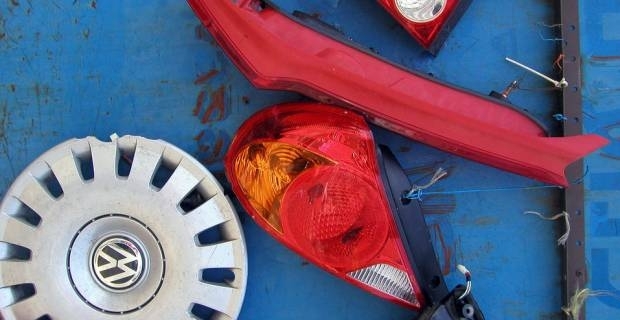 You could even try one of Bristol's scrap yards, where second hand parts with years of use could be bought for a fraction of the price they were when new.